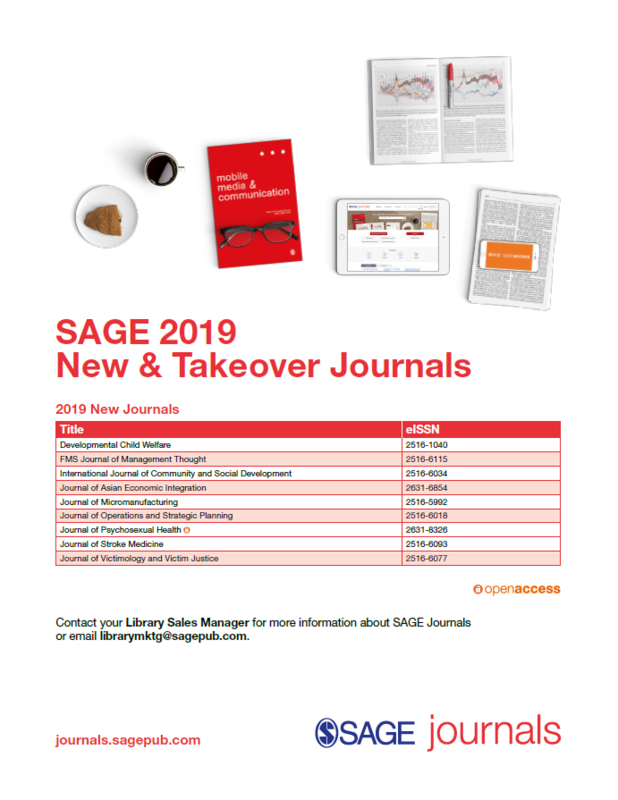 For a list of titles now published by SAGE, view the new and takeover journals flyer. Consortia libraries participating in SAGE Premier will receive access to all new journals (Volumes 1-3) free of charge and do not need to register for this offer. This offer includes perpetual access to the content published in Volumes 1-3, as well as electronic access that will begin when the journal goes live on journals.sagepub.com. To continue uninterrupted access to these titles, please renew your subscription through your preferred subscription agent or contact your Library Sales Manager to renew directly through SAGE.